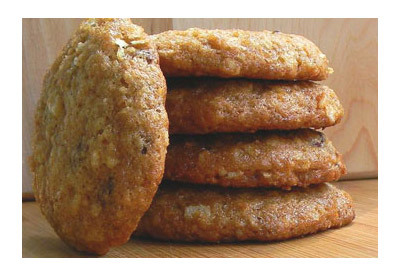 Try this recipe for a delicious twist on the traditional chocolate chip cookie. Process 4 cups of LAY'S Classic Potato Chips and weigh until you have 5 oz. (about half the bag). In a large bowl, whisk together flour, xanthan gum, salt, baking powder and baking soda. In a separate bowl, whisk together the butter (or oil), egg, agave nectar, vanilla extract, and 5 tablespoons coffee. Stir in coconut, chocolate chips and potato chips. Disclosure: This recipe is designed to be gluten free. Frito-Lay is not liable or responsible for the outcome of any recipes from this website, as the ingredients used cannot be controlled nor can the environment where the recipe is made.